As you may have seen recently, we've opened the round-the-clock Nintendo Life GP in Wii U racer Mario Kart 8, and since its launch two days ago hundreds of players have jumped in for some races. That's a rolling tournament with no real rules or winners, it's just for fun. We've decided that an old-fashioned Community session is needed, however, and an event where we can declare a winner afterwards. So on Friday 6th June we'll open the NLife Community GP for just 10 hours. We'll be treating it as a community get together at 1pm Pacific / 4pm Eastern / 9pm UK / 10pm CET, with plenty of time for everyone to take part and exchange banter in the comments. The tournament will have a limit of 32 races per player, which is a few hours of racing, so it won't be entirely a case of the winner being whoever hangs around the longest. The only other setting that will be applied by default is Hard CPU players to fill out rooms, but only when necessary. You get to choose key details in the poll below, however, and we'll take the results prior to posting the live community event page. The first of many competitive tournaments, we hope. Cast your votes and save a slot in your diary, while you can always practice in the Nintendo Life GP, which can be found under that name or code 6347-6219-4703. Check back tomorrow for the confirmed Community GP details, and we'll see you on the track. Please vote Bob omb think how nuts races will be. If only there was a section that was "All items except coins." Nevertheless, I'm excited to join in on this tournament. I'm in the Nintendo Life GP right now, and it's empty! C'mon guys! I'm hoping for Frantic mode, it makes the items more like MKWii's item system which is the best imo. @Nik-Davies sleep 8 hours. Still have time, races are short. "The tournament will have a limit of 32 races per player, which is a few hours of racing, so it won't be entirely a case of the winner being whoever hangs around the longest." This is great news!! Since I've yet to set up a tournament (community), I never knew that you could make a limit on the number of races people can play. This works for me as I used to loathe playing catch up when joining a community late in Mario Kart 7. Now, the probabity of winning will come down to how strong the group is that you're playing against. There could be a chance that an excellent racer will be in a room of subpar racers and gain massive points while in another it can be all tough racers with players rotating first place. Still, it's a major improvement! Will this be Hoppers vs non-Hoppers? @Sparx Hopping really doesn't mean anything when items are involved. I will be there as Kyle. Bit confused on the time. I live in The Netherlands, so what time does it start for me? Anyhow, I'll be there, name "Arjuna". EDIT: 10pm for me, looked it up. What's in it for the winner by the way? loved the ideia. be there some time for sure. Is Mario Golf still getting tournaments? I'll be there or be square! @smikey Thanks! Yeah, I'm on the U.S. east coast so 4pm would work great if I didn't have anything going on. My hope is that a Nintendo Life tourney will be more enjoyable than getting smoked by Japan's super-pros every time! They should have used SNES Rainbow Road that would be perfect for online. I'll be there as Francisco, it's fun playing in this community, races are intense. Sweet, I will try to make it. I want to be there. Im Shiggy! @idork99 Im on the PST also. Maybe we will race one another. Have fun! awesome I will try make it. I'll join if I'm not too busy with Tomodachi Life at the time! See you guys there! KazeMemaryu is reporting for duty! I was hoping people would pick a more creative/fun range of options oh well. Will probably pop in for a bit...Maybe...Gotta put down MK for a while and try to study...BUT IT'S SO HARD U GUYZ!!! I'll stop in at some point! I plan on giving it a go! Look forward to this! My username is Razor61289. Won't win any races. But all in the fun! Also, Frantic Mode needs to happen sometime, because that is hecka-fun. I realized this starts at 11 pm in my country.. oh well. Who needs sleep. @Gameday nm man, about to hop on this tourney again. 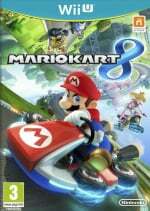 I played a few earlier, Mario Kart has been my first steady online experience and I've been loving it.